Two new handsets by Sony Ericsson are expected to be announced soon. 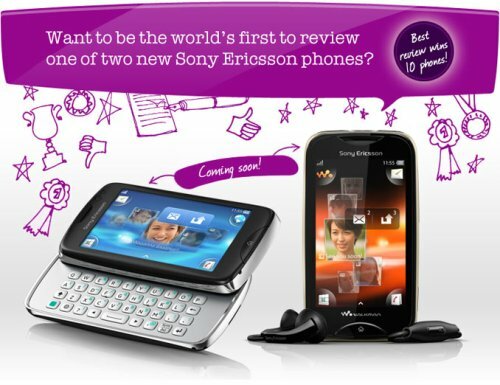 Codenamed as the CK15i & WT13i, the new handsets were spotted in a competition banner by Sony Ericsson. The CK15i is rumoured to be named as the ‘Txt Pro’ and will be slide-out touch phone with a full QWERTY-keyboard and will probably be running on the Sony Ericsson platform. The WT13i will be called the ‘Mix’ falling under the Walkman series and will run on the basic Sony Ericsson platform as well. There’s no confirmation about the handsets as of yet, but we’ll keep you updated. Note: The competition in the banner has not been announced in India.